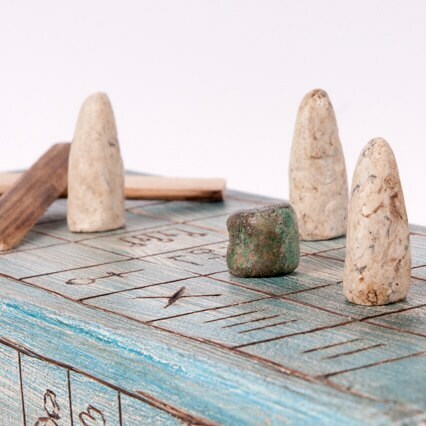 The Senet, invented in ancient Egypt, is one of the oldest games known. 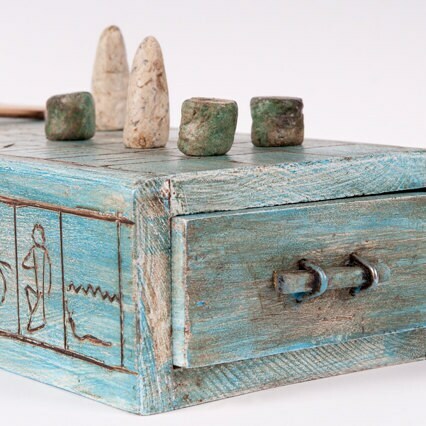 This board game made ​​of wood by hand is inspired by the Senet of Amenhotep III (fourteenth century BC) which is now on permanent display at the Brooklyn Museum in New York. A more modern reference to the game Senet is in the American show Lost where, in the sixth season, Jacob character plays a game with a Senet board located on the beach. 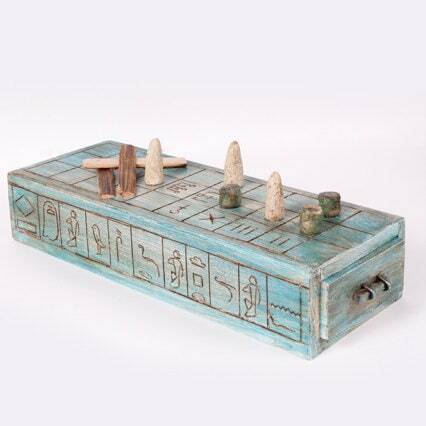 The game of Senet was very popular in all the social statements in Ancient Egypt. Several board games or references to Senet were found in royal tombs such as Tutankamon's tomb, Nefertari's or Amenothep's. Some archaeologinst are also supporting the hypothesis that Egyptian people attributed to the Senet a magical or symbolic character and the game was a reference to the Book of the Dead, representing the Judgment of Osiris, the victory of the deceased and the entry into the Duat. Beautifully made, well-crafted, and so unique. I love this set so much! My husband and I play every evening as he cooks dinner, and he loves it too! More or less exactly as described, everything included. Shipping was decent considering it came from a long ways away. I am quite pleased to add it to my collection. Completely loved this game. It's exactly as described and looks amazing.